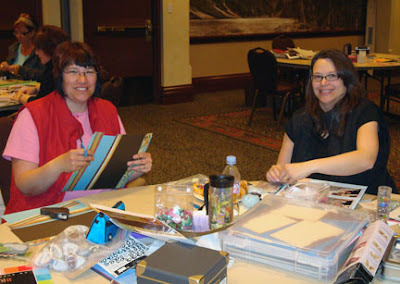 Scrapbook Savvy: Scrapbook Savvy Mountain Retreat!! What an absolutely FABULOUS weekend! 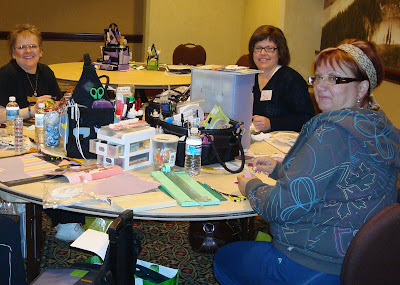 I may be biased, but I had the most amazing scrapbookers attend the first Scrapbook Savvy Mountain Retreat! 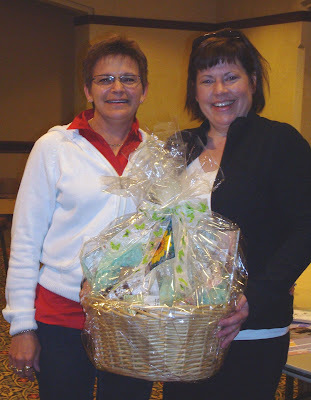 Angie won a beautiful prize pack from Scrapbooker's Ranch in Trochu (shown here with store owner, Cindy). 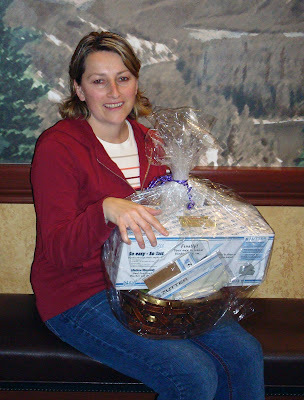 Rose won a fantastic prize package from the Scrap Hut which was full of Zutter products, including a bind-it-all!!! 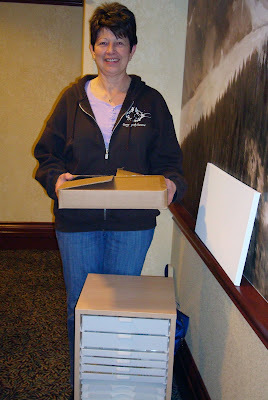 And... Monica, was our grand prize winner, taking home an amazing prize package with a jam-packed kit from Just Cre8, a beautiful organizer from Best Craft Organizer, an awesome stamp prize package from Tin Box Creations, and a year subscription to Canadian Scrapbooker!!! 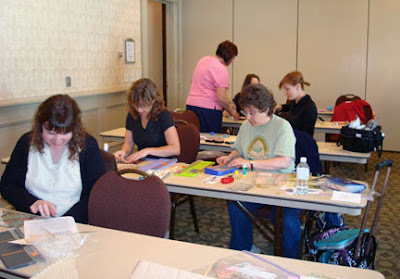 A peak at the ladies hard at work in my acrylic album class. Great work ladies! Here's the missing Maggie, and Geri packing up. A cover shot for Vogue Scrapbooking if I ever saw one! 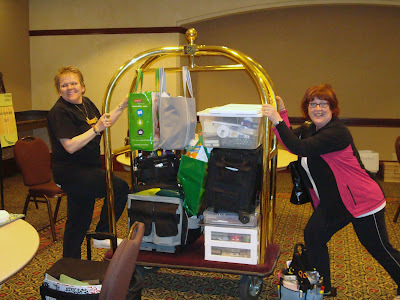 Only one trolley full of scrapbooking goodies between the two of them, not bad. The two sweetest sisters, Joanne and Susan. Can't wait to see new baby pictures, Susan! I'll keep sharing more throughout the week, and if any of you lovely ladies who attended have more pictures, I'd love to see them!! I'd love to tag a long if you have it again. Looks like a great success! Hi Kelly and ladies! Finally got our group photo posted on my blog so feel free to check it out and copy and print it yourselves as well! 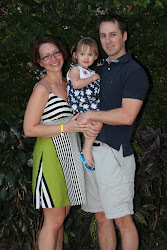 Great time was had by all! AWESOME JOB KELLY!